The workers who migrate from Lesotho to the mines and cities of neighboring South Africa have developed a rich genre of sung oral poetry—word music—that focuses on the experiences of migrant life. This music provides a culturally reflexive and consciously artistic account of what it is to be a migrant or part of a migrant’s life. 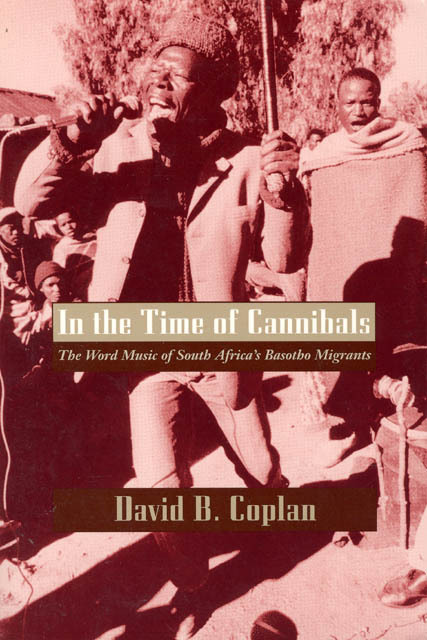 It reveals the relationship between these Basotho workers and the local and South African powers that be, the "cannibals" who live off of the workers’ labor. David Coplan presents a moving collection of material that for the first time reveals the expressive genius of these tenacious but disenfranchised people.